I had a great time talking to Larry and Robin on WOCA- AM Gainesville/Ocala Florida. It was broadcast LIVE this morning. You can check out my books HERE! This entry was posted in media and tagged AM Ocala Live, Larry Whitler, Media, multicultural, Radio interview, Simi K Rao, The Source, WOCA- AM on July 31, 2015 by Simi K. Rao. ROMANCE RADIO NETWORK INTERVIEW: CLICK HERE! 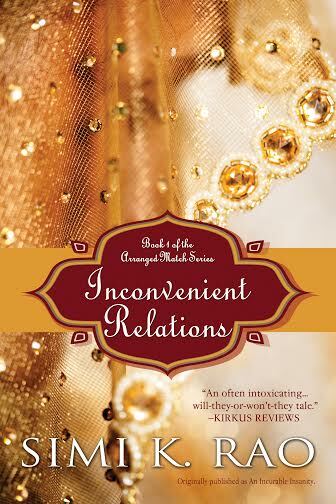 This entry was posted in Inconvenient Relations, media and tagged An Incurable Insanity, Arranged Marriage, author, Contemporary literature, Inconvenient Relations, Interview, podcast, romance, RRN on November 17, 2013 by Packerland.